Doctors and patients, listen up. Starting in 2019, private insurers may hold unprecedented power in determining standards of care for Medicare patients. If you are covered under Medicare, the kind of treatment you receive depends in large part on what Medicare covers in reimbursements to doctors and others. Medicare has now unveiled a new payment model, which it says will “guide a clinician to follow a standard plan of care.” For you as a patient, this means that in the future, your particular treatment will likely be determined by statistics, presumably showing what works best in your circumstances. Absent a uniform system of best practices, Medicare’s new model makes it possible for private insurers to set patient care standards, which Medicare will recognize by awarding physicians and other clinicians 5% performance incentives. Medicare further says that “positive” and “negative” payment adjustments will increase over time. In a newly released 14-page report, titled Quality Payment Program, Medicare says this: “Clinicians could qualify for incentive payments based, in part, on…payment models developed by non-Medicare payers, such as private insurers or state Medicaid programs.” The Medicare Access and CHIP Reauthorization Act of 2015 (MACRA) set the parameters for this new payment model. Indeed, the idea of rewarding doctors for following best practices could improve patient care and reduce wasteful spending. But what happens if the statistics are wrong? One featured section of the report discusses a federally funded project in Rhode Island, in which goals had been set for improving the health of diabetes patients. 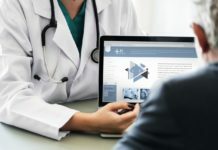 As local medical practices began accessing EHR data in order to report on improvements in diabetes care, they discovered data quality issues due to missing or inaccessible data or wide variations in outcomes that could not be explained by the actual delivery of care. Trust the insurers to get it right? Against this backdrop, profit-driven insurers will now be trusted to write the standards for so-called value-driven care under Medicare? Come on. We’re talking about the federal insurance program for an estimated 55 million people 65 and older, plus those with permanent disabilities. According to the Kaiser Foundation, Medicare accounted for 14% of the federal budget in 2014, with benefit payments totaling $597 billion in tax dollars. Far too much is at stake to move prematurely toward standardized patient care that cannot be supported by trustworthy data. The lesson from the Rhode Island project should be heeded: First, figure out how to capture quality data before using statistics to determine uniform treatment methods for patients. Treating people based on bad data could put the health of untold millions at risk. One of the problems of creating a ‘best practice’ and then making it the standard and only practice is that it then becomes very difficult to gather data on any alternatives. Anything that differed from the ‘best practice’ would create a hazard for the medical practitioner, or would need to be part of an expensive approved research project. I suspect that cheap or simple medical solutions (such as lifestyle changes) would fail to get the necessary support. Well, this is just the beginning of benefits of socialized medicine ! Yes, I am being truthful , but sarcastic in hopefully suggesting that everyone recolonize that NO TWO PEOPLE ARE THE SAME !!!! There is no possible way we can treat each patient with the exact same treatment plan . That has been the basis of our success of healthcare here in the USA! We do research and try our best to treat each individual patient with the best care suitable for her or him . I heard a story of a family member in Canada with a simple disc problem in several discs in his back . We have laser surgical same day procedures to fix these damaged discs in the States everywhere . In Canada you must wait until you have lost feeling in your lower body , have incontinenence , finally are in a wheel chair before they agree to give the same simple treatment that we have here with the laser upon first option. This is the same system that has just been described above . Doctors will have to treat all patients with similar diagnosis in the same standard practice to be reimbursed by Welfare insurance claims. I would say that socialism is not a place we want to go . We are not all the same . Every human being was created with equal rights but every person was created as unique as an individual snowflake that falls from the sky . Why do we have DNA? We must stop Obamacare NOW !